Hanksite is a Sodium Potassium Sulphate Carbonate Chloride mineral that is formed as hexagonal bipyramids terminating in hexagonal prisms. It can be colourless, gray or pale yellow. Hanksite is found in boron-rich salt lakes of California, along with Halite, borax and trona. 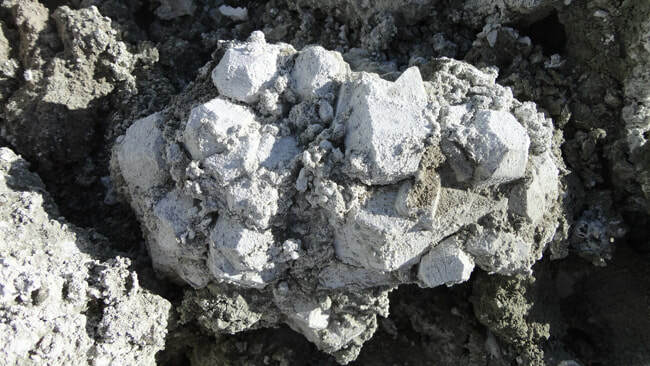 Hanksite is unusual in that it is formed in arid areas where the water in creeks dries out and deposits the minerals onto the river bed, the crystals combine and solidify, and then form the hanksite crystals. Due to the high sodium content the crystal actually tastes salty, cleanse the stone by placing it in a bowl of uncooked brown rice overnight. ​Do Not Get this crystal wet as it will dissolve. Hanksite is a very user-friendly stone. It harmonizes quickly and easily with the human energy field, bringing a clearing and purifying influence to all the chakras. It is excellent for use as a purifier of the body and one’s living or work space. Environmentally, it has been described as a time bomb of what things will eventually return to - a mirror of the world before humankind began and a state our planet could return to if humankind continues to violate it. Hanksite supports the planet in regenerating when the ozone layer and air are depleted. It assists in applying ancient wisdom to modern problems. Hanksite has been used to stimulate hair growth. It has been known to ameliorate head colds and breathing difficulties caused by excess mucus and inflammation. Hanksite has been used to provide a stabilising effect on ambulatory activities. This stone is useful for water retention and detoxification, metabolism and cellular memory, intestinal problems and the skin. Hanksite is helpful in the clearing of toxins due to overindulgence in alcohol or recreational drugs. It is stimulating to the energy systems of the body and can be used effectively to restore your energy after any illness. This stone can also be helpful in releasing water retention in the ankles and legs. Hanksite retrieves true feminine power and intuition. 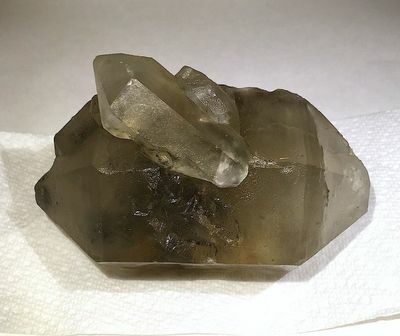 It combines particularly well with Lemurian Seed Crystals. ​​A stone of forgiveness, hanksite helps you acknowledge mistakes or a misuse of power and reminds you not to repeat such experiences. ​This stone combats restlessness and unwanted desires. Hanksite helps you determine whether something is wanted or needed and then shows you the correct choices to make. It will let you know when trickery and illusion is being aimed toward you and give you the perception and adeptness to avoid the potential problem. Hanksite clears anger, jealousy and resentment or manipulation and transmutes their effect on the physical body. ​Hanksite increases your mental and emotional flexibility. It creates a more objective perspective, clearing thought and behaviour patterns that no longer serve your purpose. Hanksite can assist you in speaking your truth and remove festering anger from your life. By promoting multi dimensional evolution, hanksite contains powerful knowledge to accelerate and expand your consciousness. Hanksite helps you to understand the experience of death, and to flow with unwanted changes which occur during life. It strongly stimulates the third eye and can facilitate visionary states. Hanksite has clarifying energies that extend to the mental body. It helps you to get to the essence of all issues and keeps your awareness aligned with reality. If you have a tendency towards too much fantasy, or if you are a bit gullible, hanksite can be a useful ally. Hanksite makes an effective psychic protector, especially against spirit attachment. Purifying on all levels, it clears chakras and cleanses other stones. 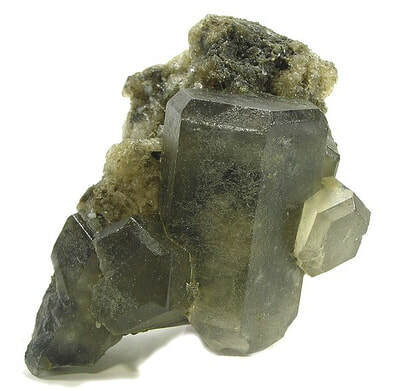 ​​This Crystal facilitates a melding into the self and the non-self. 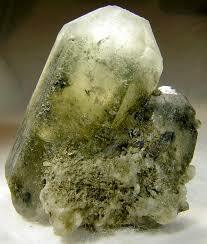 It is a wonderful stone to use in meditation and advancement towards spirituality. 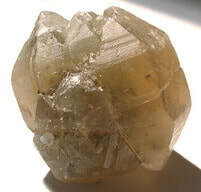 Hanksite is particularly good for use in meditation if you are experiencing blockages or difficulties in connecting to Spirit. Used progressively up the chakra column, it can clear stagnation and minor blockages, allowing deeper issues to be addressed. Hanksite cleanses the body and environment to eradicate stray, stagnant or undesirable energies. 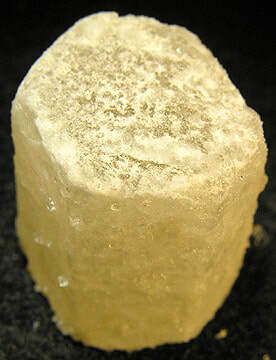 It helps ground the Light body into the physical body by resonating with the salts in the body.